Jenny Tassell and Christine Grover were selected for the International ACAC Rising Star Award for their service to their students and our community, especially due to their tireless work in organizing the recent International ACAC Regional Institute in Panama City. Jenny writes, “Thank you from the bottom of my heart for this great honor. There is really no other association like International ACAC. I have been lucky enough to have some amazing mentors who have encouraged me to keep pushing myself towards goals that have seemed too challenging at times. Fred Johnson, Juan Camilo Tamayo, Ray Marx, Meg Mahoney, Christine Grover, and Jolynn Vallejo to name a few. Everyone in this association wants its members to become more involved and they will encourage you every step of the way. In Panama it all started with helping to create the Panama School Counselor Association (PASCA). With the amazing counselors in Panama we worked hard to help Panama become a place that was easy to navigate and welcoming to all university reps that came here. We created the PASCA website which has become a model for other countries. The Advocacy and Outreach Committee are keen to submit a written response to this by the deadline of 3rd September. COUNTER POINT: Admission Officers Seek Direct Contact; Counselors, students, and parents need to be willing to receive it. In a professional WeChat admissions group, a high school counselor in southern China lamented that she couldn’t get parents to come to information sessions at her school hosted by admission officers from lesser known U.S. universities. Several colleagues, including myself, proffered suggestions: create a fact sheet about the university, advertise the event in Chinese on her school’s WeChat account, and provide translation on the day of the event. Since this was a counselor I had come to know through multiple exchanges, I then messaged her privately and joked that she should say representatives from an Ivy League school would be joining the unknown school. I guaranteed she’d have a full house. We laughed, but it wasn’t funny; it was true. For admission professionals with five or more years of experience we have collaborated with Case Western Reserve’s Weatherhead School of Management to offer a custom leadership program for a small cohort of individuals wishing to focus on developing their leadership potential. For school counselors, educational consultants, and your inner Jedi - The Pre-Conference Institute; International University Counseling 101 has returned for those with 0-2 years of experience. Come network with other international school counselors and superhero admission professionals - learn from the most charismatic and fun-loving people in the profession! Go Athletes! A special post-conference workshop on advising student athletes will take place to wrap up your time in Cleveland, OH. Learn how to best advise your burgeoning athletes in the university process! Are you an international school counselor or educational consultant who is new to guiding students in international admissions and university counseling? Do you feel that you would like to learn more about fundamental topics in the field of international admissions? If so, be sure to sign up for the Pre-Conference International Counseling 101 workshop created especially counselors and consultants with 0-2 years experience. In the two days that lead into main International ACAC Conference, experienced counselors and university admissions representatives will present on a wide variety of topics to help you feel more comfortable, confident, and knowledgeable in your work with students as they prepare for post-secondary life and studies. See more detailed information here. The Vancouver International Universities Fair (VIUF) will be held this coming April 30 at the Vancouver Convention Centre-East from 1pm-4pm (PDT). Registration for exhibitors and students is now open through the National Association for College Admission Counseling (NACAC) Fairs website. In May, we undertook an ambitious project, a Strategic Planning Survey of all International ACAC members. The survey was sent to our over 2000 members, and we received over 700 responses. Hopefully, you took the chance to let your voice be heard! A number of our questions focused around our annual summer conference, and the results were illuminating. Over 50% of you attend the conference for the networking opportunities, but professional development opportunities are also very important, with discussions of new trends in Admissions garnering almost 10% of the vote. Could this be the end of all the back and forth emails? 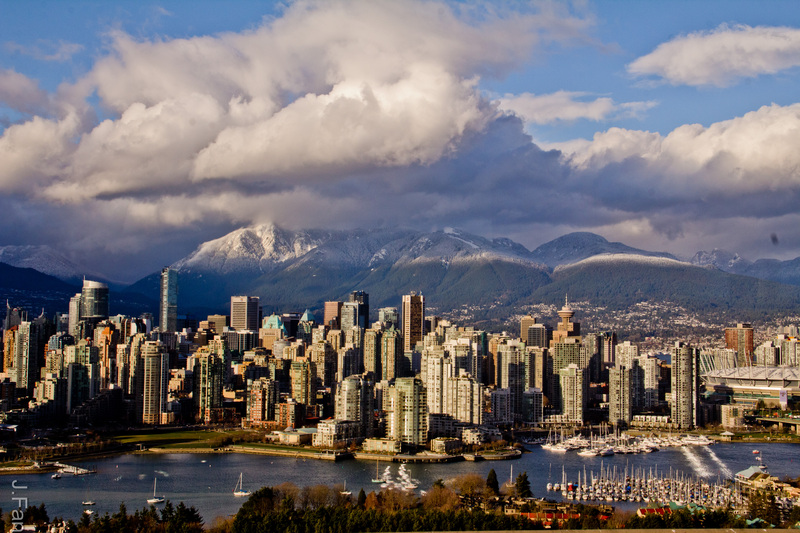 NACAC’s first International Universities Fair is being held in Vancouver May 7 and the city is ready to welcome visitors from institutions all over the world. The fair, Saturday May 7 from 1:00 - 4:00PM has over a 150 universities from a dozen different countries converging on Vancouver Convention Center to promote higher education options to the region's secondary school students. Recognizing that many university representatives will only have a few spare hours before or after the fair, International ACAC has received special advice from a local Vancouverite to come up with the ever helpful Top Five Things. In the summer of 2015 International ACAC conducted a Workplace Survey of its members to get a better understanding of their workplace experience. 30% of AAPS member institutions responded to this survey and the Communications Committee has reviewed the results over the past several months. The survey had a set of questions for both university admission and secondary school counselling offices. While there was also a short set of questions for educational consultants, it is acknowledged that future editions of the survey will need to have an expanded question set for this member group. The International ACAC Board wishes to thank the members for their time in completing this survey. The National Association for College Admission Counseling and International ACAC are co-hosting the first International Universities Fair in Vancouver on May 7, 2016. Chaired by Nancy Cromarty, director of university and career counseling at West Point Grey Academy in Vancouver, the fair preparations are off to a great start. “Interest and excitement about this first time event has already begun among parents, students and counselors here in the Lower Mainland of Vancouver,” says Cromarty. Next spring the NACAC will host the first stand alone College Fair outside the United States. The Vancouver International Universities Fair is scheduled for Saturday, May 7, 2016. Whenever NACAC runs a National College Fair in the United States, the regional affiliate serves as a local organizing committee, and supports NACAC in the promotion and planning of the event. Since Vanoucver, Canada is 'international' Overseas ACAC has the privilege of supporting this event. Recently, OACAC.com talked with Nancy Cromarty, Chair of the Organizing Committee and Director of University & Career Counseling at West Point Grey Academy in Vancouver, about this exciting new initiative and what participants can expect. We are a 2000+ member international organization that represents nearly 100 countries from every corner of the globe. We are the international champions of those seeking higher education. We offer a dynamite annual conference. We host professional development opportunities throughout the year, including Regional Institutes around the world and Webinars to a global audience. We have great depth and breadth of international knowledge among our members. When you look at these answers, and reflect about who we are, the answer is “we’re international.” Overseas doesn’t factor into the discussion. So why is it in our name? Each year OACAC selects high-impact, under-resourced counselors to receive funding to attend the OACAC Summer Conference as an OACAC Scholar. These counselors are nominated by their peers and are provided funding to cover their travel, registration, and accommodation at the conference. These are counselors who would not have been able to attend a professional OACAC on their own; often it is their first introduction to the OACAC community. Please consider nominating your colleague to be a 2015 OACAC Scholar. Perhaps you are in a high school yourself, and know of another school in your community whose staff could really use the support. 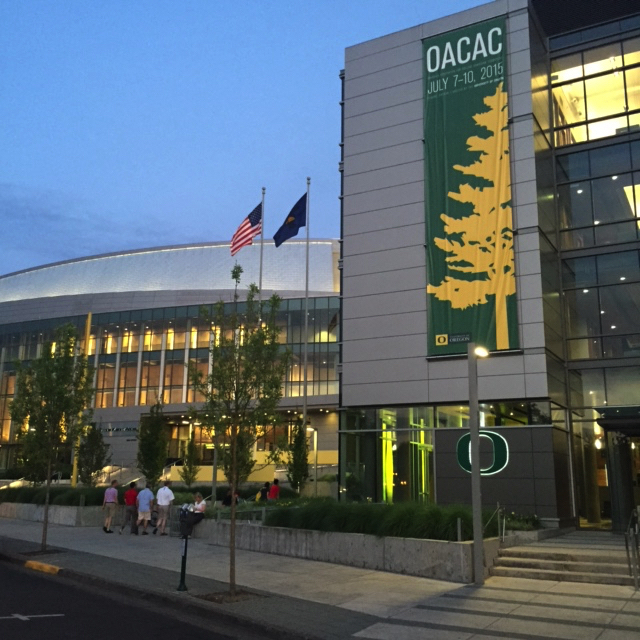 Perhaps you are at a university and work closely with a counselor who you know is under resourced, and would benefit from the experience of attending OACAC. Either way, counselors who are selected speak of a life changing experience - and that life changing moment starts with your nomination. Nominate a deserving counselor today. Each year OACAC selects high-impact, under-resourced counselors to receive funding to attend the OACAC SummerConference as an OACAC Scholar. These counselors are nominated by their peers and are provided funding to cover their travel, registration, and accommodation at the conference. In most cases these are counselors who would not have been otherwise been able to attend a professional development event in other country, and often it is their first introduction to the OACAC community. Please consider nominating your colleague to be a 2015 OACAC Scholar. Perhaps you are in a high school yourself, and know of another school in your community whose staff could really use the support. Perhaps you are at a university and work closely with a counselor who you know is under resourced, and would benefit from the experience of attending OACAC. Either way, counselors who are selected speak of a life changing experience - and that life changing moment starts with your nomination. Nominate a deserving counsellor today.